We support talented music students of any age and ability. Olgarhythm was founded on the 30th of July 2015 in London (UK) by classical pianist Olga Jegunova and actuary Glyn Eggar. Suzi Digby (Lady Eatwell) OBE and Sir András Schiff. As a musician she possesses a remarkable musical imagination combined with a seriousness of purpose and discipline. 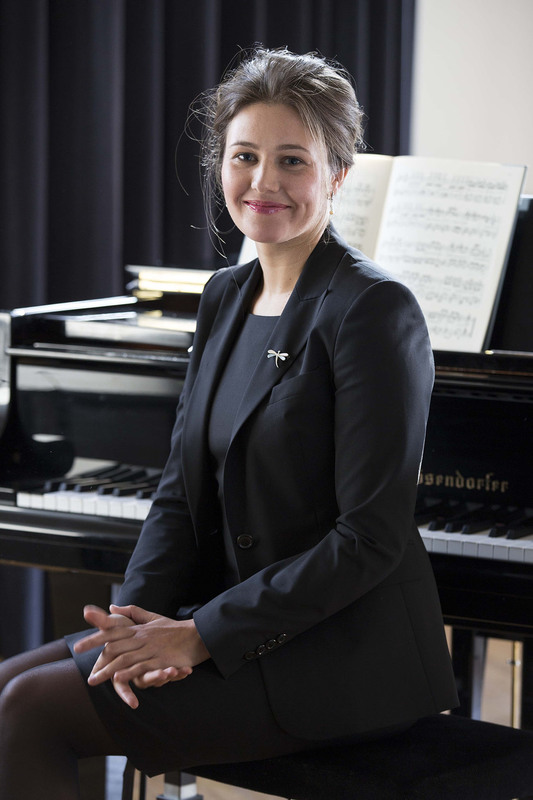 Her repertoire ranges from Bach to Schnittke, Scarlatti to Bartok and includes much contemporary repertoire, not least some new works composed especially for her. Olga is also a piano teacher. Her approach to music learning is interactive, eclectic, individualistic and creative. Glyn is a classical non musician. He has not performed his first musical recital aged 4, he has not attended any prestigious (or otherwise) music institutions and he has certainly not won any international, national or local competitions. He is however a qualified actuary and a director of two companies, which means he is an ideal person to help make sure the charity is being managed appropriately and everything runs smoothly.